I don’t think I was very successful because every time I would eat 1, I proceeded to eat 3 more after that! Tastes like: There are three flavors here; muscat (by far my favorite), apple, and grape. The grape was far too “grape-y” (hey I just made up a word there!!) for me. Unfortunately, like most grape flavored candy, this one also tasted too much like cough medicine. The consistency is a soft gummy texture. They are slightly sweet and have a natural taste to them; so you can end up eating a handful in 1 sitting like I did! 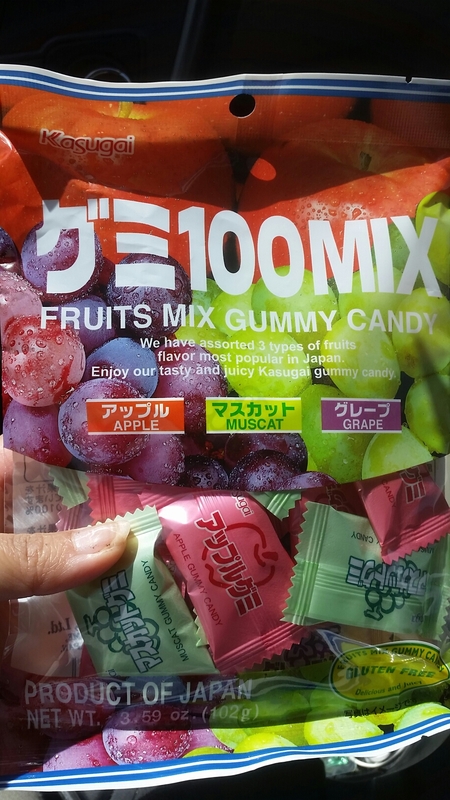 Bonus: Each gummy is individually packaged; so you can just take a handful to-go.